This book is both a revelatory biography and an accessible study of Leonardo's life and multi-faceted work as a scientist and engineer. 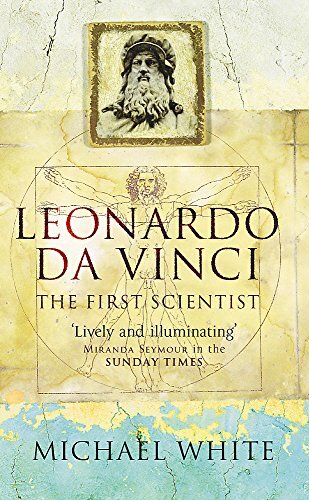 It covers all aspects of the man's life but is also a re-interpretation of the voluminous evidence to paint an original picture of Leonardo da Vinci not only as the archetypal polymath, but as the first true scientist. Topics include: * A detailed investigation of how Leonardo's manuscripts and notebooks were lost to the world and kept secret during his own lifetime and how this altered the progress of science. * A thorough analysis of his work as a scientist and how he predated many of the great figures of the 16th and 17th centuries, including Galileo, Kepler, William Harvey, Francis Bacon and Isaac Newton. * Leonardo's legacy -- what did Leonardo leave in his notebooks and how may they be viewed in the light of modern scientific understanding? What did he achieve in science?